Universal’s Creature from the Black Lagoon gets a writer. Spider-Man may have two different costumes in Civil War. Legends of Tomorrow can’t use comics character Booster Gold. Plus, Chloe Bennet teases Skye’s transformation on Agents of SHIELD—and could we get a Hannibal movie? Spoilers Now! Both Comicbook.com and Heroic Hollywood are reporting rumors from unnamed sources—Morning-Spoilers-branded salt shakers at the ready!—about Spider-Man’s costume in the film. Comic Book reports that Spider-Man’s main costume is a faithful rendition of the classic red-and-blue suit from the comics, with a sort of detailing akin to the stylistic choices made for Captain America’s movie costumes. Meanwhile, Heroic Hollywood adds that Spider-Man will actually have two costumes in Civil War: Spider-Man will begin with a “home-made” costume, less slick in its design (similar to the approach taken in Sam Raimi’s Spider-Man), before meeting Tony Stark and getting an “official” spider-suit in his classic colors. Head on over to Coming Soon to see several pictures from filming in Berlin, featuring Chris Evans and Anthony Mackie going incognito out of their superhero getups. Another day, another behind the scenes image posted on Bryan Singer’s Instagram. This time, Singer notes it’s filming for a scene featuring Angel in a “Fight Club” located in Berlin circa 1982. Speaking during the Television Critics Association press tour—via USA Today writer Gary Levin—CBS Entertainment president Nina Tassler has confirmed that Supergirl will absolutely not cross over with the CW’s DC shows. 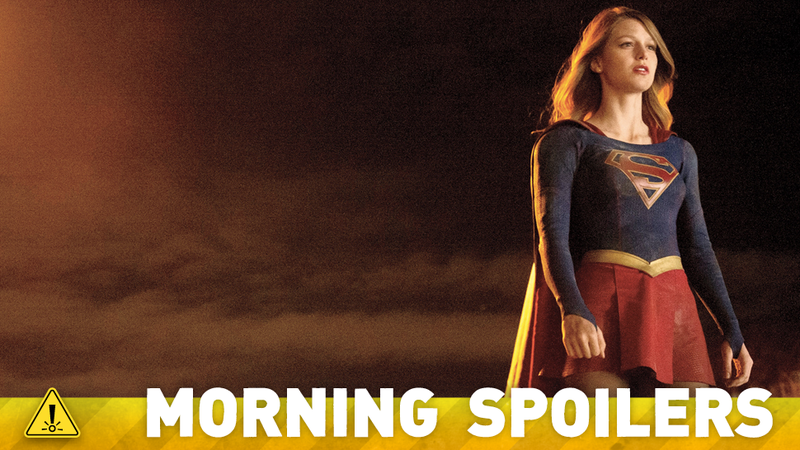 However, adverts for Flash and Arrow will run during Supergirl, and vice versa for shows on the CW. He will be a back-burnered life... He will be a factor in her life, but you won’t see him exactly on screen; he’ll be in the background but he does play a part in her evolution. And Johns said they may decide to create the illusion that the Superman on the show is the same character you see in the films—although he wouldn’t answer one way or the other whether this show takes place in the same universe as Batman v Superman. We’re canceled on NBC, but we are still looking at some possibilities, including the possibility of a feature. Hopefully, we’ll find a way to bring it back to you. True Blood’s Rutina Wesley has been cast in an undisclosed, multi-episode role, according to The Wrap. I wish I could tease a Booster thing but, you might have to wait a good long while at least on our show. Perhaps Booster is being groomed for bigger things. TV Line asks if you can bear the tension of the team coming face-to-face with some hostile bears in the sewers of Paris, in an exclusive clip from the next episode. I think he’s in the gray area. Don’t take this the wrong way, but I think he’s dangerous in the sense that they don’t know whether they can trust him, and I don’t think he knows what to trust. So I think it’s rocky. I think their relationship is rocky. S.H.I.E.L.D. needs to play their cards right, and Lincoln needs to work things out pretty quick and smart, yeah. I’m going to cut myself off before I say too much. Something that’s very difficult to go to the bathroom in. They like to limit me from going to the bathroom as much as possible on the show. It’s a really cool outfit. I hope fans of Daisy Johnson and Quake are pretty happy with it because we tried to do a nice blend of TV version and comic book version. Additional reporting by Gordon Jackson and Charlie Jane Anders. Top image: Supergirl.